Regency Transportation » Congratulations Harold Carter! 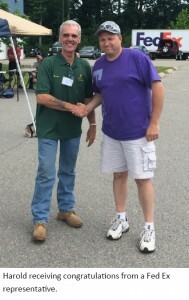 Regional Driver Harold Carter took 1st Place in the 5-Axle Class at the 2014 Massachu-setts Truck Driving Championship. The competition took place on Sunday June 22nd in West Boylston, MA. The event consisted of a written exam, a skill (driving) course and a pre-trip inspection. 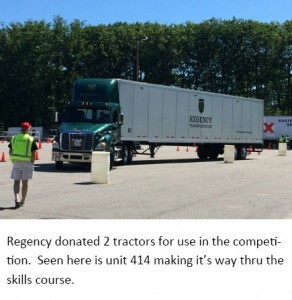 Harold will be representing Regency at the National Truck Driving Champion-ship in Pittsburg, PA from Aug 12th to the 16th. He will be competing against 415+ of the best professional drivers from around the country. In addition to his 1st place trophy, Har-old also won Rookie of the Year for being 2014’s top scoring Rookie.Harold will receive a $500 cash bonus from Regency for his 1st place win. 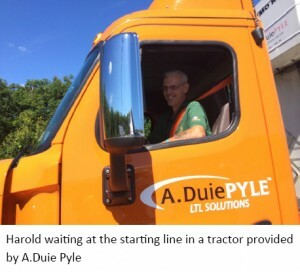 The company will be sponsoring the trip to the nationals for Harold and his wife Linda. Wish him good luck if you see him out on the road! © Copyright 2014 Regency Transportation Inc. & Regency Warehousing & Distribution Inc.